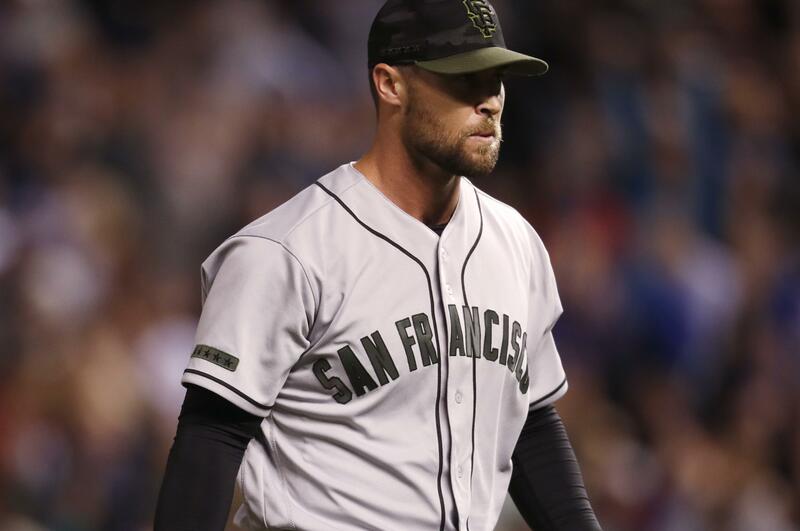 UPDATED: Sun., Jan. 27, 2019, 7:20 p.m.
SEATTLE – Reliever Hunter Strickland and the Seattle Mariners have finalized a $1.3 million, one-year contract. Strickland can earn $450,000 in performance bonuses for games as part of the deal announced Sunday: $75,000 for 25 games, $100,000 for 34, $125,000 for 45 and $150,000 for 50. The 30-year-old right-hander spent the past five seasons with San Francisco, going 14-14 with a 2.91 earned-run average. He was 3-5 with a 3.97 ERA last year with 14 saves in 18 chances. Published: Jan. 27, 2019, 5:35 p.m. Updated: Jan. 27, 2019, 7:20 p.m.